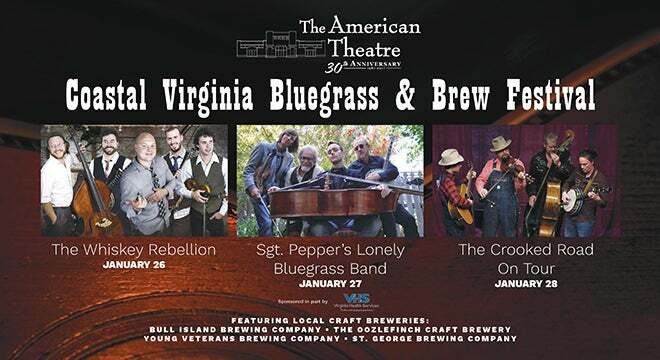 For the first time, The American Theatre welcomes a trio of legendary, genre-defining bluegrass acts and some of Coastal Virginia’s finest local breweries. 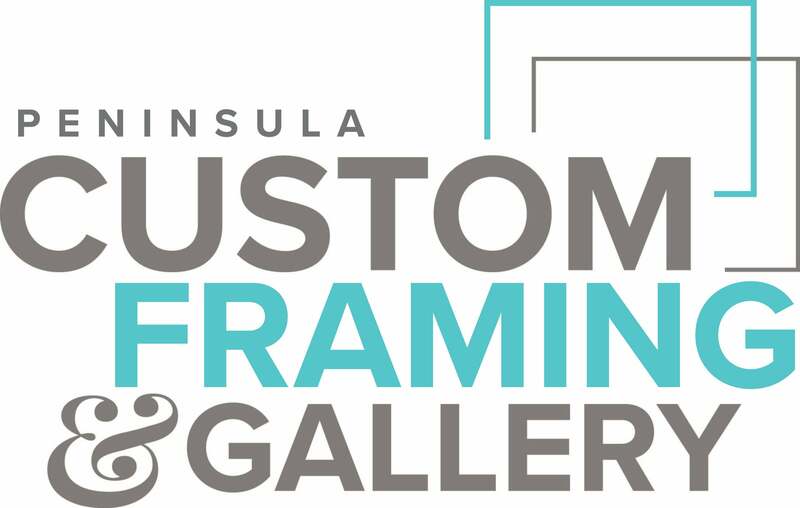 See all three concerts and jam and sample some of the best breweries Hampton Roads has to offer. 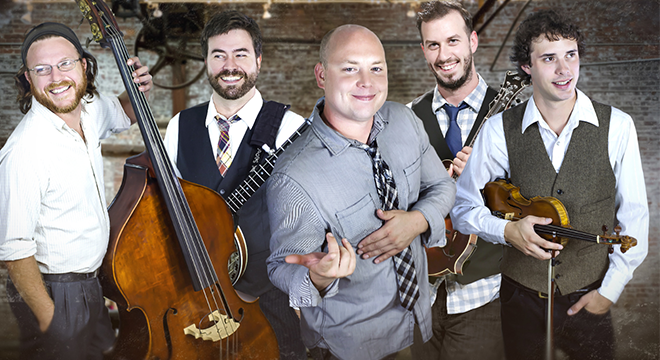 These amazing musicians will expose you to the full scope of their immense talents while also gaining a deeper understanding of the evolution of bluegrass music throughout Virginia and beyond! Based in Richmond, VA, The Whiskey Rebellion has spent the last decade harvesting a sound deeply rooted in the folk traditions of Appalachia with the raw elements of American rock ‘n’ roll. Skillful picking and expert three-part harmonies are just part of what you can expect from these high-energy, acoustic showmen! 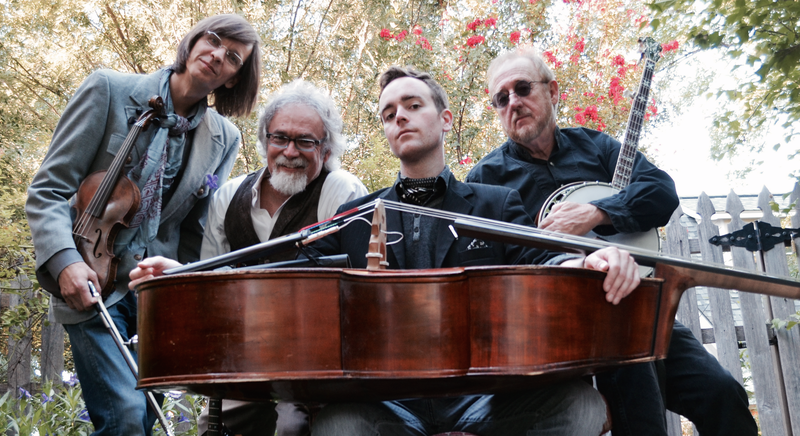 Imagine the music of the Fab Four shaken up with infusions of bluegrass and jazz and topped off with a classical twist. The result: a satisfying musical cocktail! Sgt. Peppers Lonely Bluegrass Band is a collection of four very different musicians creating a new sound from the greatest music ever written by the greatest band ever… The Beatles. Expect some of your favorite classics reimagined with a totally new sound unlike anything you’ve ever heard before. Experience firsthand how music is woven into the rich tapestry of tradition in Southwest Virginia. 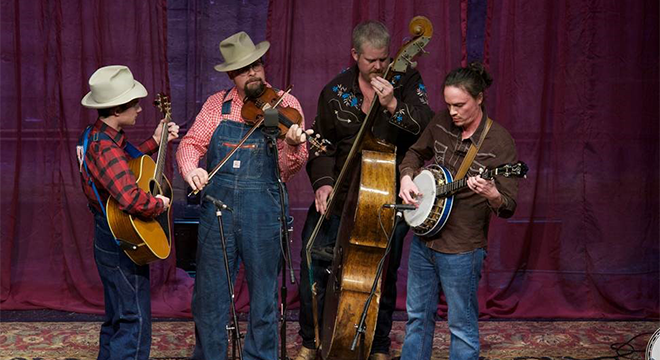 The variety is amazing: old-time string bands, a cappella gospel, blues, 300-year-old ballads, bluegrass, and more. The perfect afternoon for the entire family to celebrate the heritage and sounds of the Commonwealth!